If you’re looking for an excellent property management company in Marysville, Washington, look no further, you’re in the right place! Operating since 1996, T-Square Properties has been servicing Marysville and the surrounding areas of Seattle, Bothell, Mill Creek, Everett, Bellevue and many other areas in the state of Washington. We are a full-service property management company which manages a large portfolio of different kinds of properties, from commercial properties to single-family residential homes and multi-unit residential apartments. We have a highly-qualified team of professional property managers, who are dedicated to maintaining your property at all times, regardless of where you may be based. Our team has both the experience and the expertise to make sure that your rental property is being properly taken care of, and that you end up getting the maximum returns from your investment. Read on to know more about our services and book your free consultation by giving us a call today! At T-Square Properties, we have a highly-qualified and knowledgeable team of property managers who are dedicated to ensuring that you achieve the best returns from your Marysville investment With our high-end management services, you can rest easy, knowing that your prized investment is being looked after by the best and the brightest who are leaders in successfully managing rental properties. Our staff has extensive knowledge and experience in managing property in Marysville that spans decades. We use this experience to make sure you achieve your financial milestones and help you free-up your precious time. As Your Marysville Property Manager, our sole aim is to keep your property in great shape and profitable – from repairs and maintenance, to keeping the property occupied by high-quality tenants, collecting rents, improving the budget, and even maintaining records…when it comes to property management, there is nothing we don’t do! We understand that a vacant property generates costs, but no revenues, which, to be honest, is very bad for business. Therefore we consider it our main goal to place high-quality tenants in your property as fast as possible. We leave no stone unturned when it comes to marketing, and to that end, apply special promotions, marketing programs, and high-end advertising strategies. We even place “For Rent” yard signs that are both visible and attractive in order to catch the attention of passers-by. Tenants who are difficult to deal with often cause a loss of both time and income. T-Square Properties understands this and therefore screens every single applicant thoroughly before they get the keys to your rental property. This helps in reducing the likelihood of having to deal with the repercussion of having a bad and/or difficult tenant. We conduct regular inspections of your property to make sure it always remains prim and proper. Move-in, periodic, and move-out inspections are conducted to ensure your investment is kept in great shape and that your tenants are respecting their lease agreement. At T-Square Properties, we understand the complexity of physical management of housing structures as well as its outdoor areas, and also realize the fact that they differ from one state to another, and even from one climate to another. Any property’s physical structure includes its electrical system, landscaping, walls, pools, and appliances, among others. We make sure to keep good relations with repair companies and contractors, and to that end make use of our volume to get the best-possible services at the most affordable rates. We strive to protect your investment’s value by maintaining the capital expenditure budget and monitoring the quality of every maintenance and repair work. All management activities related to real estate are under some jurisdiction of the state and Federal government. To avoid becoming a liability, any property should adhere to all the listed norms and requirements laid down by each of these. This includes managing escrow, maintaining operating licenses for the county, and keeping meticulous records of tax payments and accounting, among others. Additionally, all tenant interactions and activities should be recorded as well as maintained for specific periods. In regards to financial functions, many states have specific requirements in place to handle funds paid by the renters for the purpose of disbursement to the owners. At T-Square Properties, we take great pride in meeting every requirement for Washington state licensing to manage your rental properties. 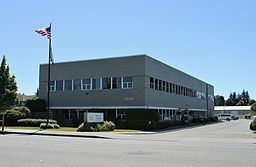 Located thirty-five miles north of Seattle Washington, next to Everett on the northern side of the Snohomish River delta in Snohomish County, is the city of Marysville. Marysville is the second largest town in the county and has a population of close to sixty-seven thousand. It also ranks as one of the fastest growing cities in the state of Washington. Marysville, WA offers a diverse and vibrant scenery ranging from quaint old downtown neighborhoods to Eastside homes embellished with Puget Sound panoramic views. Moreover, it has extensive recreational programs, large lush green parks, shopping malls, and award winning schools. Simply put, Marysville, Washington has something for anyone to enjoy and discover. The origin of modern day Marysville dates back to the 1870s when it was a trading post founded by James P. Comeford and his wife, Maria. History has it that in 1878, Mr. Comeford bought 1,280 acres of land from a couple of timber traders led by John Stafford, Truman Ireland, Louis Thomas, and Capt. William Renton. On the piece of land, he set up a store that had living quarters. By the next year in 1879, the population had slightly grown to include loggers and Indians, and Mrs. Comeford started teaching classes at home. In 1889, thanks to the laying down of the railroad tracks through the town, the population of the area increased significantly. Some of the factors that fostered the growth include the presence of the railroad tracks, the logging business, as well as the thriving of agricultural activities like strawberry farming. However, it was not until two years later, in 1891 that James Comeford incorporated the area to be a Fourth Class City. Two years later in 1901, the first City Hall was built, and from then on the town has evolved into what it is. As of now, thanks to the new recreational pulls, charming population, large retail centers, reputed schools and enabling business environment, Marysville, Washington is a magnetic haven that attracts locals, and visitors.